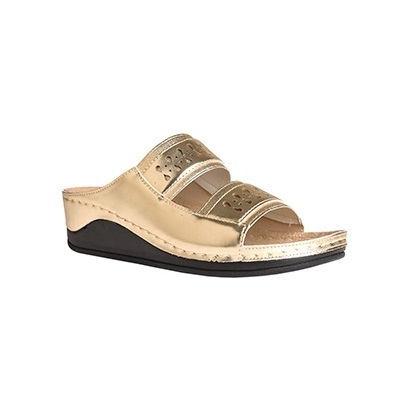 Gold medium wedge mule with open toe and back. 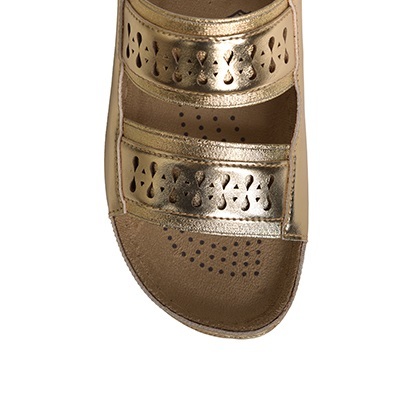 Stylish but comfortable, practical and easy to wear. Made from fine quality materials and foam cushion insole.Team with a floaty A-line skirt for effortless impact-free supported steps.